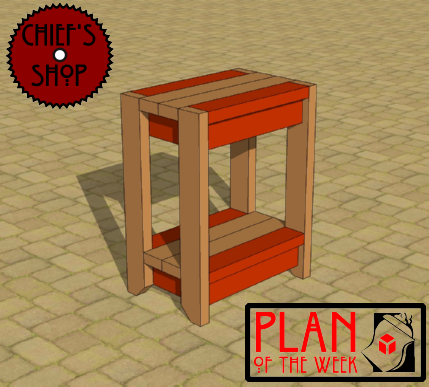 The Chief’s Shop Outdoor Side Table is super easy and only requires four 2x4s. It’s meant to be used on a patio or deck, but you could also use it inside next to a sofa or chair or simply as an accent table. Overall dimensions: 21 inches wide x 14 inches deep x 27 inches high.